Not always bitter, dark chocolate ranges from 70-100% cocoa. Our dark only box allows you to fully appreciate the differences in the type and origin of the beans and techniques. Each month, you will receive 4 full-size bars of the worlds best bean to bar chocolate delivered to your door. You also receive 4 tasting cards with the stories behind each bar and producer, and room to record your tasting notes. 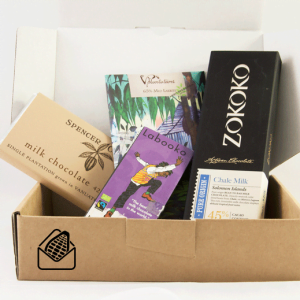 We send our boxes on the first Monday of each month by Express Post ($10 postage & handling), to ensure your chocolates arrive in great condition. These chocolates are special – they are made in small batches by artisan chocolate makers all over the world who care about every step – from sourcing the cocoa beans to hand wrapping each bar. As well as receiving 4 full-size bars of the worlds best bean to bar chocolate we will also send you the stories behind the bars – where the beans came from, who made it, how it was made and why we think it’s special. These are not the chocolates you find at your local shop – most will have limited availability in Australia and and many are only available through our subscriptions! 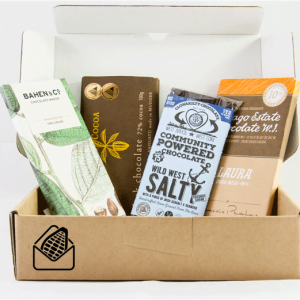 At least one bar each month will be from an Australian producer – we want to showcase the great chocolates made by small batch, artisan chocolate producers right here on our doorsteps. 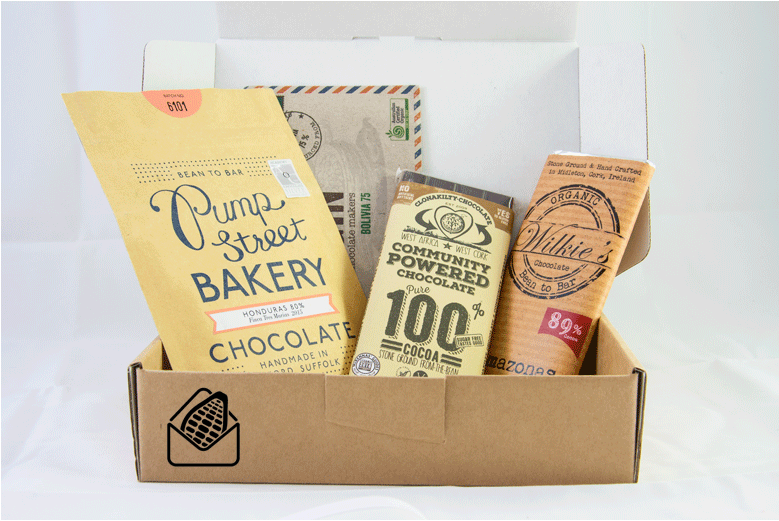 Choosing your subscription box is just the beginning of your personalised chocolate subscription journey! Each month we’ll send you a (very short) survey so you can tell us which of your chocolates you loved the most. As we learn more about your favourites we will use our analytic skills to tailor the chocolates in your box each month so you get more of what you love. Note: We will not send subscription boxes in January and February 2019, due to heat and holidays. 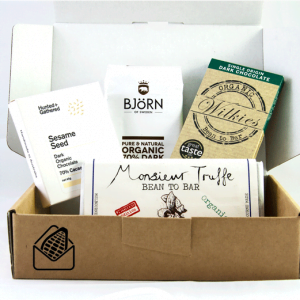 We send out our subscription boxes on the first Monday of each month. The $10 postage & handling fee covers Express Post delivery, to ensure your chocolates arrive quickly and in great condition. During hotter months we include insulation and sometimes even ice packs. Each producer makes a unique product, so the size of the chocolate bars will vary each month. But these are full sized bars, not samples, and on average they are about 80-100g each. You can pause, skip or cancel your subscription at any time – simply login to your account and change your details instantly. We can’t wait to share this chocolate adventure with you!